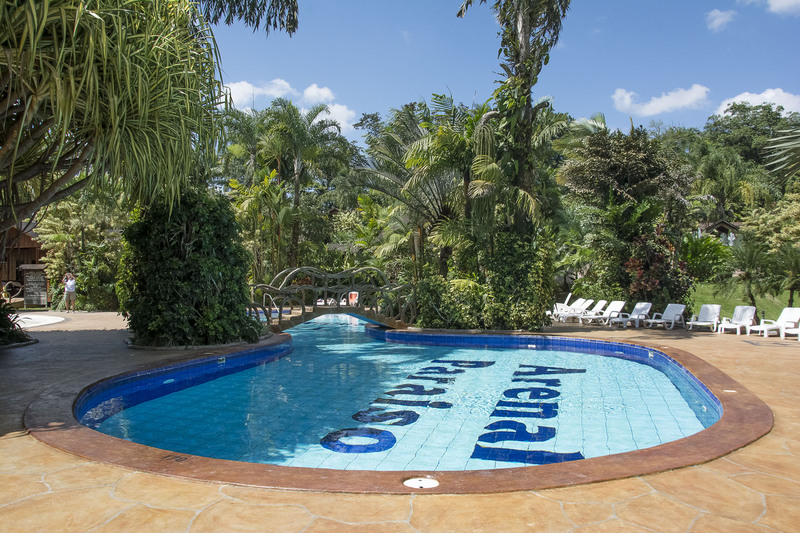 Use the form below to contact accommodation Arenal Paraiso La Fortuna directly. 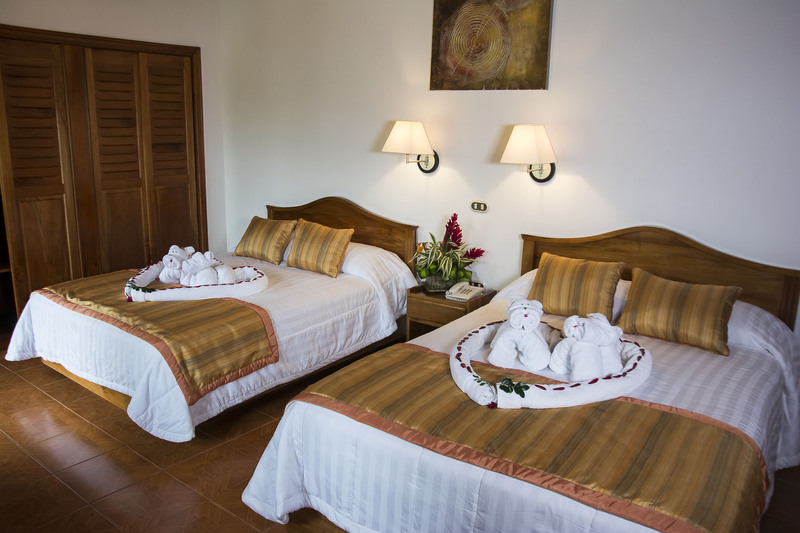 These rooms have a combination of simplicity and a cozy atmosphere at a very accessible Price. 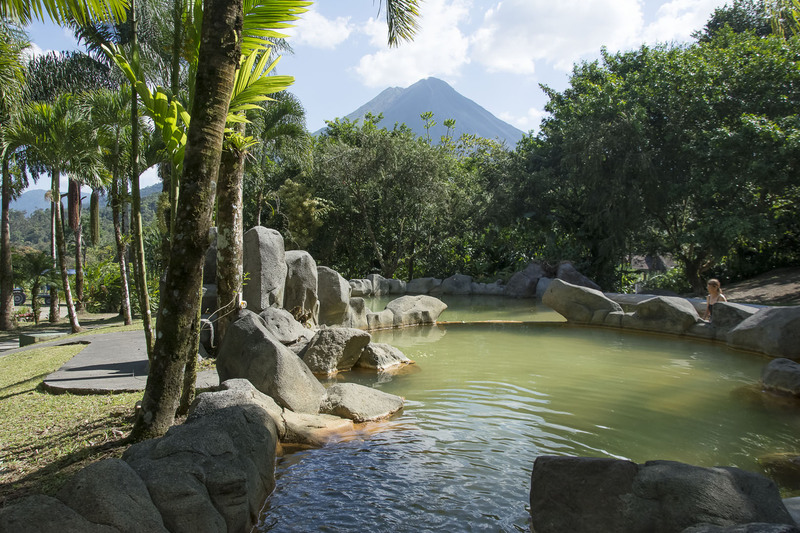 The rooms are surrounded by nature and a lovely view of the Arenal Volcano. 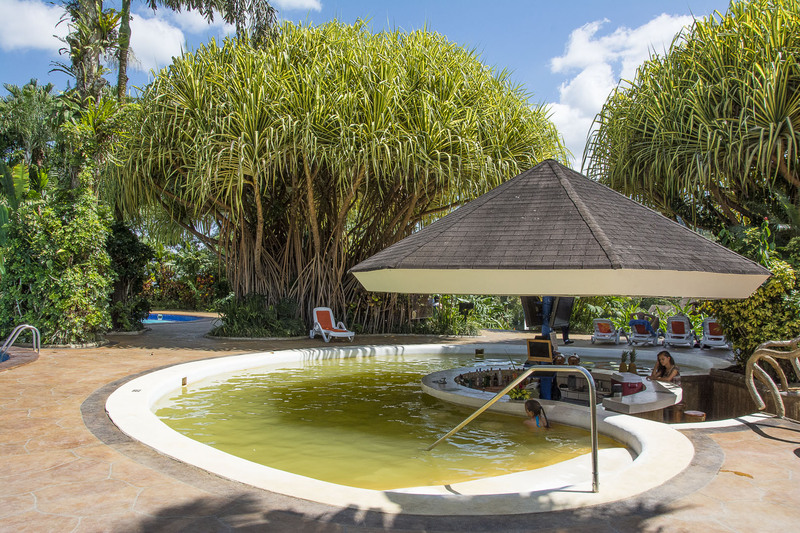 We have 36 standard rooms with 2 double beds, private bath, hot water, air conditioning, telephone, cable TV, coffee maker and mini refrigerator. For those who prefer a more modern environment, we offer these larger rooms with unique decoration which allow you to feel at home. 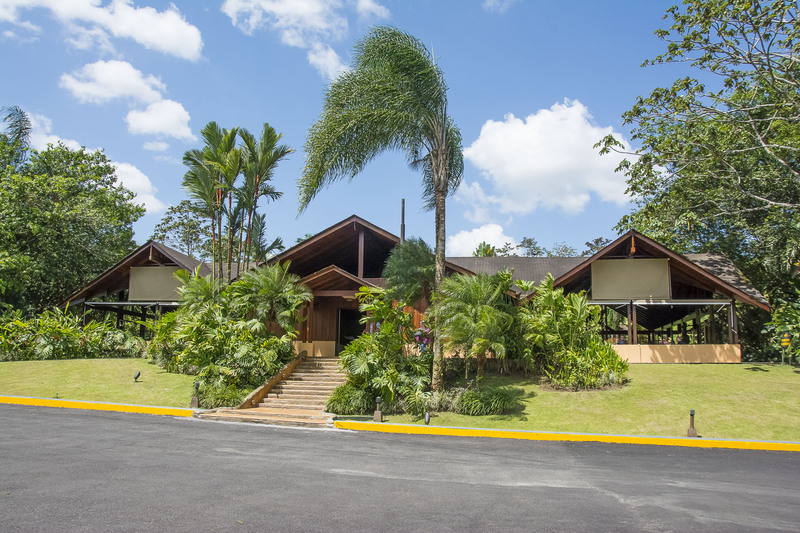 The rooms are individual wood cabins with private bath, hot water, air conditioning, cable TV, telephone, mini refrigerator, coffee maker, safe deposit box, hair dryer, and a large terrace with rocking chairs, all surrounded by beautiful nature, where you can enjoy amazing views of the Arenal Volcano any time of day. Characterized by their elegant design and charming decoration, these luxurious rooms offer you a unique stay with plenty of room for up to 7 people. These rooms have 2 bedrooms, each with a private bath and hot water. 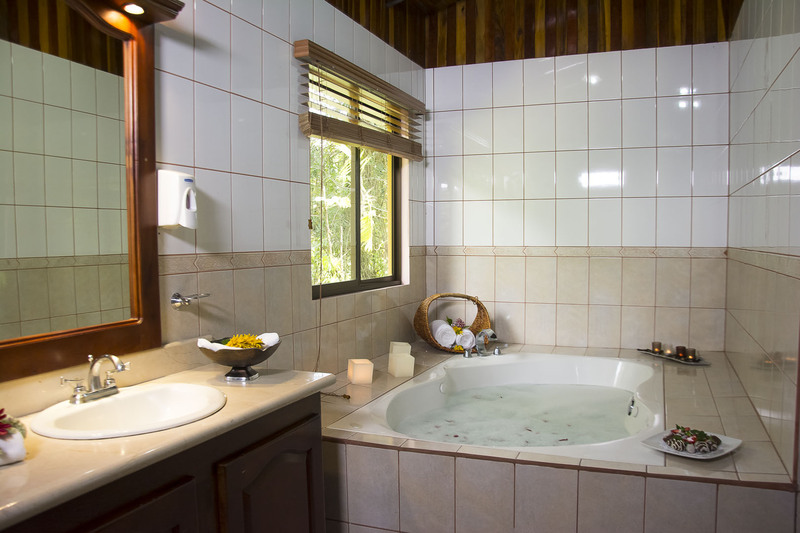 The master bedroom has 1 king bed and 1 sofabed single, and the bathroom has a Jacuzzi and a balcony with volcano views. The second bedroom has 1 double bed and 1 single bed. 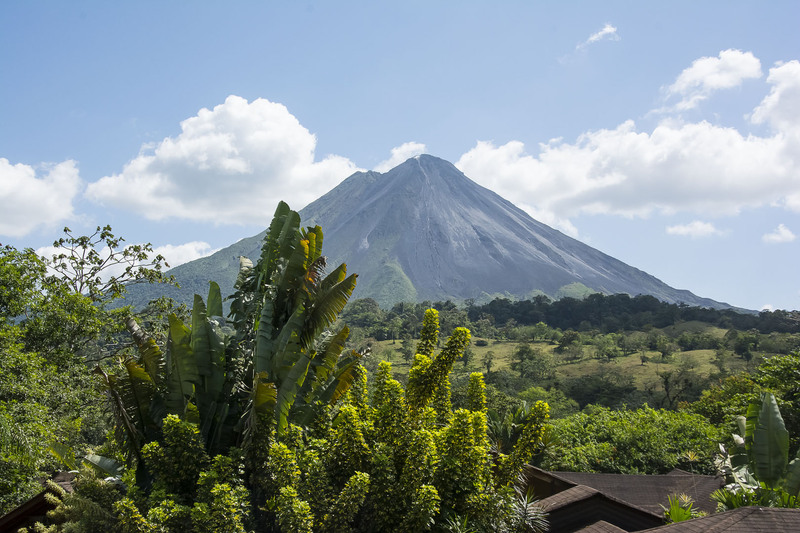 Our suites are equipped with a refrigerator, telephone, air conditioning, cable TV, microwave, living room, balcony and a privileged view Arenal Volcano. 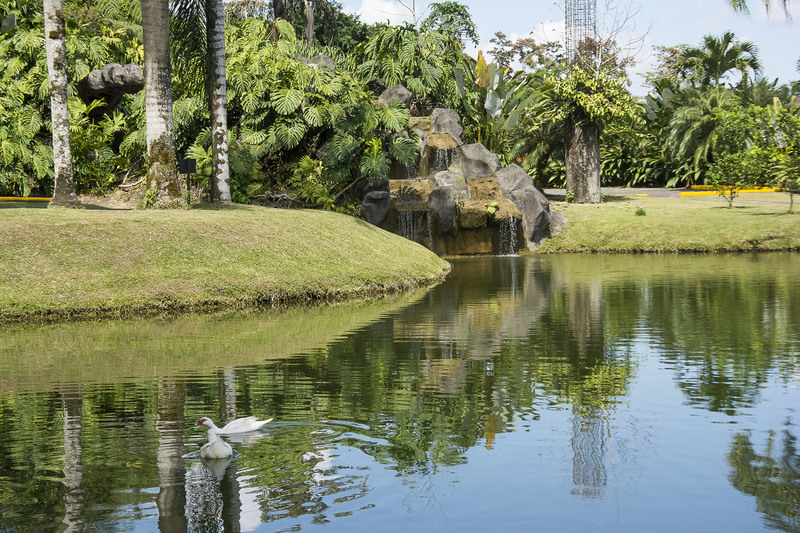 Arenal Paraiso Hotel has a unique charm, combined with the Paradise of the majestic Arenal Volcano and the northern plains of Costa Rica. 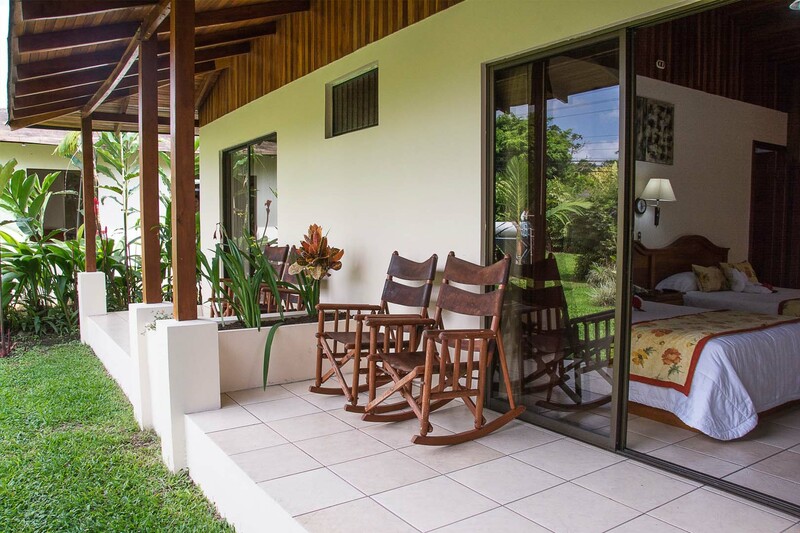 Our beautiful rooms are surrounded by natural scenic beauty that will take you to a place of complete relaxation and comfort and connect you to the natural world around you. We offer first class service, where there will be no need to even leave your room. 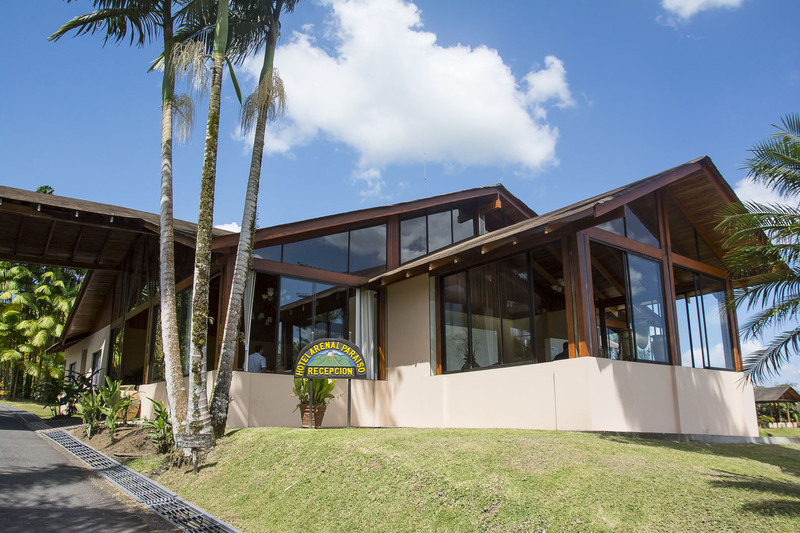 We have 3 different room categories, all with volcano views, 2 restaurants, 13 hot spring pools, 1 fresh water pool, individual and couple’s treatments at our Mayin Spa, and for the more adventurous; our zipline circuit with 12 platforms and 11 cables above the river canyon with incredible panoramic views, and our horseback ride through mountains, trails, and to the observation deck of Lake Arenal at the base of the Arenal Volcano, which are the perfect compliments to make the most of your stay at our Hotel. We also have a Conference Room with space for 120 people, equipped with air conditioning, video beam, screen, and personalized Service for any type of event. Finally, we are proud to present you with our Rafael Arena Event Center, which is the largest of its kind in the northern region, where we provide you with the highest quality service for any event, be it corporative or social. The Arena is located just across the street from our hotel, where you guests can stay comfortably. We invite you to visit us and we assure you that you will enjoy a few unforgettable days in our unique hotel. We are also very environment conscious (we have reforestation, sustainable tourism and carbon neutral Projects).